It is the time of year to check your sump pump to ensure that it is working properly to avoid a spring flood in your basement. Sump pumps are a critical home safety system, particularly in certain areas in Winnipeg where the water table is higher. As a city we also experience occasional flash flooding and in these instances, your sump pump's ability to keep up with rising water levels is crucial. Your sump pump's job is to pump water out of the sump pit and away from your house so that your basement or crawlspace stays dry. 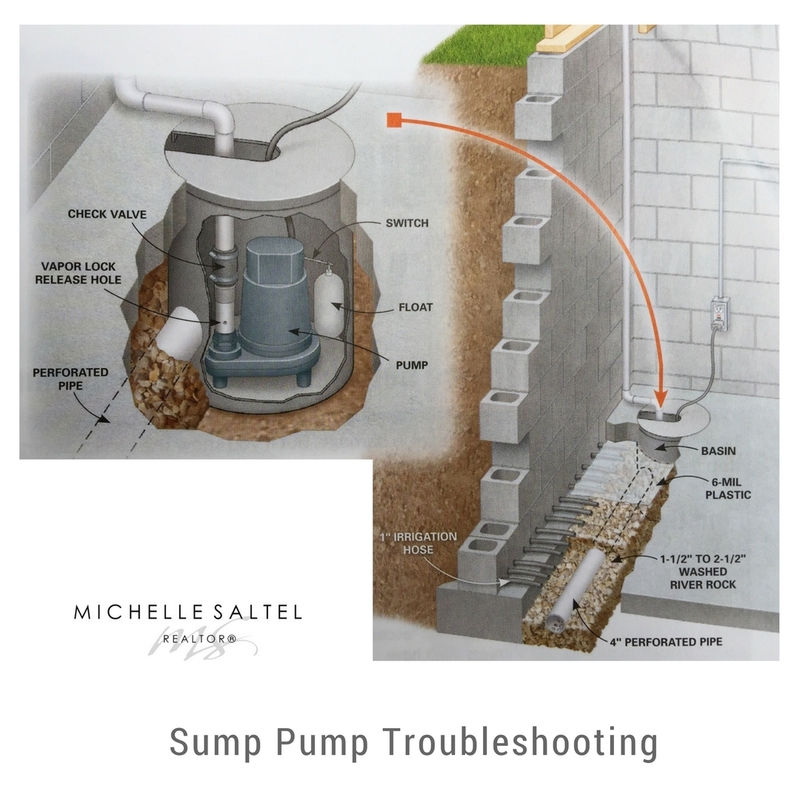 The sump pump is part of a drainage system. Perforated pipes along basement walls carry water to the sump pit basin. As the water rises in the sump pit, it lifts a float, which switches on the pump to force the excess water outside. There is a check valve in the discharge pipe that prevents the water from flowing back into the pit. It is very important to check the discharge pipe outside the house to ensure that it is not frozen or plugged, as you want to be certain that the water can flow out. If the pump doesn't run make sure your sump pump is plugged in. If it is plugged in, ensure that the plug it is plugged into is working properly. If the outlet is dead, check the breaker in the main panel and if it is a GFCI, push the reset button. If the pump is getting power but won't run, you most likely need a new pump. If the pump runs but the water level is not dropping, check the discharge pipe outside the house. If the pipe is clear, the pump most likely needs to be replaced. Once you have established that your sump pump is working, it is a smart idea to consider a backup system. Wet weather and power failures go hand in hand. Your sump pump will not be working if you have a power failure. Options for backup systems include a battery backup and a water powered backup. A battery backup relies on a battery to power a second pump in the basin. A water-powered backup relies on a backup pump that siphons water out of the basin using water pressure from your home's water supply. If you are not ready or willing to consider a backup system or think it is a bit excessive, a smart idea is to at least keep a replacement pump on hand. Several days of heavy rain can cause your sump pump to work overtime and can lead to pump failure. Having a backup pump ready to go will save you from scrambling around looking for a backup when you (and everyone else) need it most.